As technology becomes a more routine part of most people’s lives, it brings with it positive and negative effects, including distractions like texting, which inhibit our attention to tasks when we mix the two. While many people like to pin text-happy teens as the culprits of accidents as a result of texting while driving, it’s important to know that an adult is at just as great of a risk of being distracted while texting and driving as a teen is. A University of Utah study found that drivers talking on the phone, hands free or not, had the same reaction time as someone with a blood alcohol content of 0.08 – the legal limit for driving. If talking on the phone while driving inhibits a driver’s reactions times that much, then just imagine what texting while driving does. Recent legislation across the country is aiming to tackle this safety issue. Not only is texting and driving dangerous to both you and others, it’s also now illegal in many states. 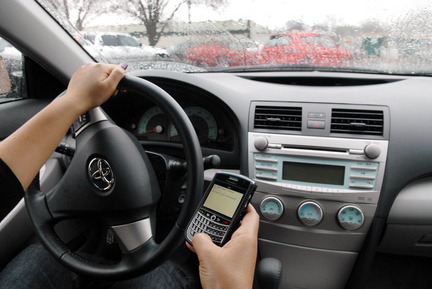 On September 30, 2010, the Massachusetts Safe Driving Law went into effect, which bans texting while driving, as well as improper use of a mobile phone while driving. While infractions of the Safe Driving Law are more harsh for junior operators, they can still result in consequences for adult drivers, such as fines, insurance surcharges, and license suspensions, depending on the severity and frequency of infractions. Still not convinced? Take Arbella’s distraction learning challenge and see for yourself how much distractions can inhibit your reactions.